Today is our last day in Madeira. Tomorrow morning we’ll fly back home again. We’ve had a fabulous time here despite me being sick these last days. I still got a nasty cough so I had take it easy today too even though I tried to convince myself I was feeling fine. We did manage to visit a nice fish restaurant. 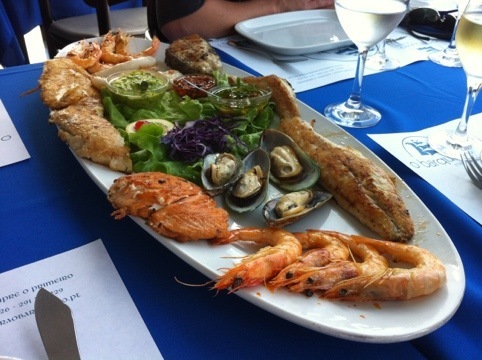 We ordered a mixed plate with different kinds of fishes, shrimps and clams. The plate was for 2 people but we shared it between the 3 of us and we still had leftovers! After lunch we went to a Swedish speaking taxi driver, Aires, and his Swedish wife. Aires is the Swedes “private chauffeur” here on Madeira and his daughter works at the same company as Åsa. As the company is moving to the Azores next weekend he wanted to have a little get-together before they leave. 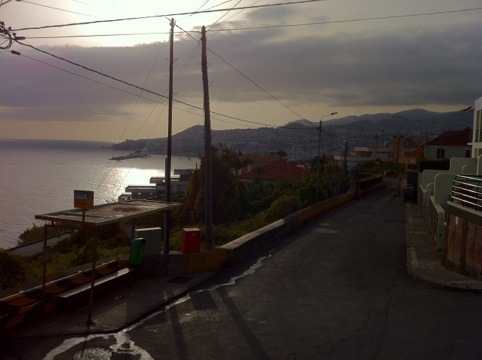 His house had a fantastic view overlooking the ocean and Funchal’s harbor. 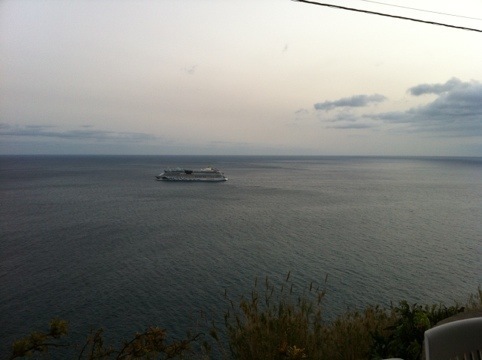 While we were sitting on his balcony we saw the cruise ships (it was 3 here today) leaving the harbor.